Dakka is an Egyptian side dish consisting of a mixture of herbs, nuts and spices. It is typically used as a dip with bread or fresh vegetable and is completely delicious! Combine ingredients in a mortar and pestle. Pound until finely crushed (alternatively, use a coffee or spice grinder). 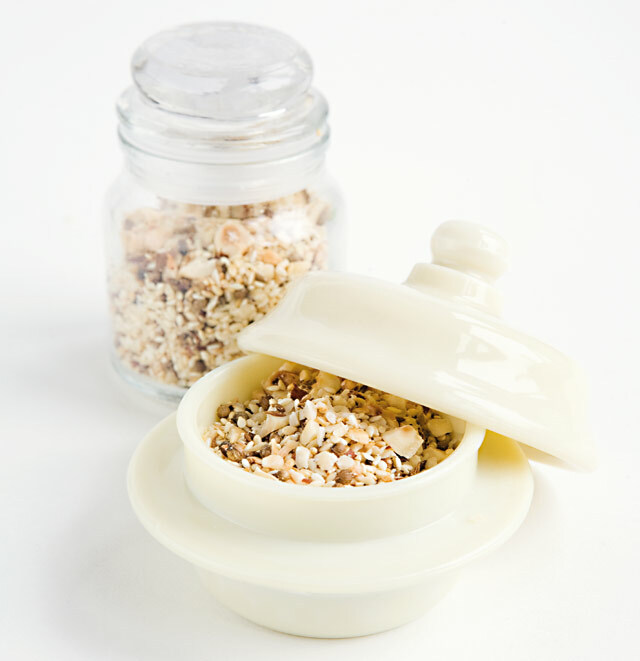 Serve dukkah with some extra virgin olive oil and crusty bread, for dipping.